Are We Ready To Go Back To World War II? 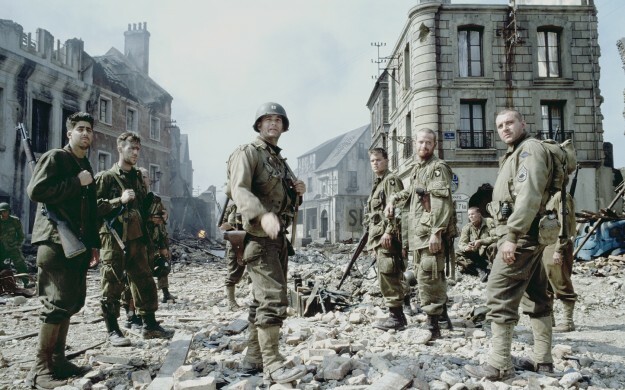 In 1998 Saving Private Ryan was released, it showed that war films could be something interesting and, dare I say it, entertaining without falling into the realms of the god awful 1950’s war films that were shown on Saturday afternoon TV during my childhood. Tom Hanks pushing his way through war-torn Europe on the hunt for Matt Damon. It was an awesome film, that’s ‘awesome’ in its traditional sense. This is mainly due to the storming of Omaha Beach. A scene which sees hundreds of soldiers mowed down by a well fortified cliff. The acting and grittiness made it all real, it wasn’t patriotic, it wasn’t a social commentary, it was real people doing something because that’s what they’re there to do. Three years later Spielberg and Hanks teamed up with HBO to produce a TV series that I will marathon once every 18 months since it’s release, Band of Brothers. Easily one of the greatest mini-series, if not general series, ever created. With heart, action, some comedy and a real sense of connection with a lot of the cast, you, the viewer, are taken from one harrowing hardship to another all the time being comforted by some of the best actors Britain and America has to offer. Medal of Honor, in its first iteration, was released in 1999. With a story by Steven Spielberg and released on the original Playstation the game was an interesting foray into the world of First Person Shooters based in World War II. Obviously there were others, Wolfenstein 3D was technically a WWII FPS but to many Medal of Honour in 1999 was the start of an interesting and then tedious period of games. 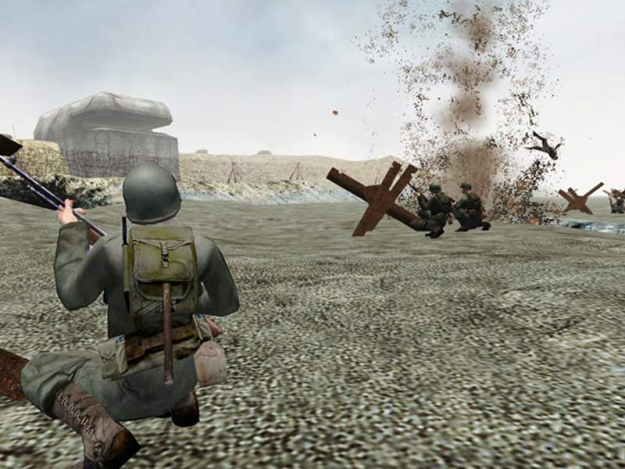 In 2002 EA released Medal of Honour Allied Assault, a game that clearly took its cues from Saving Private Ryan, the game opens with the D-Day landings and, at the time, had one of the most epic and fascinating set pieces in a game to date. Even now if you have the chance to replay it the game manages to give you an experience that produces tension and action like no other. You start on the launch boat, bobbing up and down, people around you are either exploding from shells or vomiting from the sea. When you reach the coast and the flap opens allowing you onto the beach you charge or die. Around you NPC’s are dropping like flies and mortar craters are being created around you, sand and dirt are floating through the air and the sound of bullets are whizzing past you like angry mosquitoes. World War II games for a while were a novel and exhilarating affair, Call of Duty (the first) came out a year after Medal of Honour Allied Assault and introduced better graphics, but for me personally, it didn’t have the emotion of MOHAA. 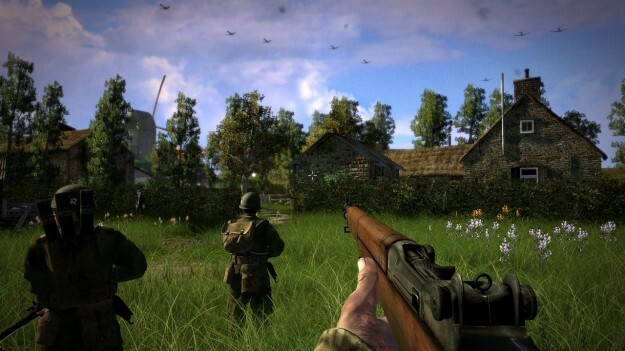 Since then there have been hundreds of WWII games, they for a while became the go to game for every studio, much like rogue-likes and zombie survival horror games plague the indie scene. Brothers in Arms, from Ubisoft, was probably one of the last great WWII games that didn’t rely on a gimmick. BiA brought squad mechanics to the table, players would have to keep an eye on their assault and heavy squad members telling them where to stand and who to attack, all the while making sure that they themselves didn’t take a bit of shrapnel to the neck. The game was long, a bit dull in places, but generally speaking was great fun with some clever cover based squad mechanics. Suppressing the enemy with fire whilst you employ a flank tactic was incredibly satisfying. So the market was flooded like an English rural village and everyone was releasing poor quality shooters. 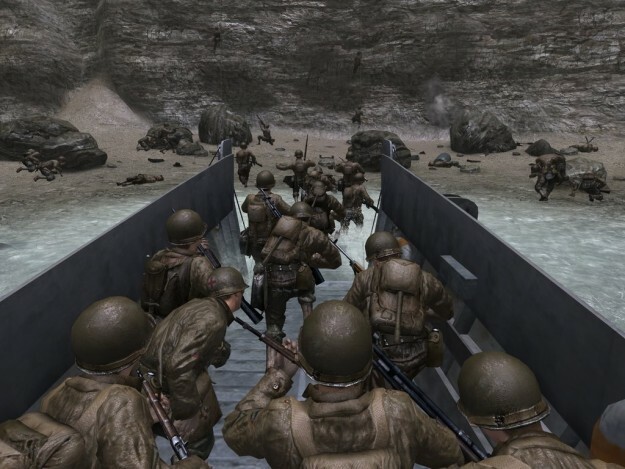 People grew tired of the same thing over and over and between Brothers in Arms, Medal of Honour and Call of Duty we had played every real life campaign in World War II, the only thing we hadn’t done was the long-boat ride from America to Europe. So where are we now? Well the market didn’t completely dry up, there are still the occasional WWII FPS coming from Rebellion in the form of Sniper Elite and a handful of other titles over the past couple of years, but none have reached the peak or pinnacle of those early games for surprising and interesting a generation of gamers. When talking about these games we need to put aside the obvious horror of the real war, the millions that died or had their lives affected by it, these games aren’t trivialising that or taking away from those people, the two can exist side by side. I think we’ve had enough of a break from that bad time when every other release was a Nazi shooter, developers should start looking to that area of history again, lets leave the zombies and the zombie Nazis, let’s get out a game that’s shows the horror of war without climbing up it’s own arse and out of it’s mouth. We need to go back to taking inspiration from Band of Brothers and Saving Private Ryan, two stories that managed to grab people by the goolies and show them that action can sometimes have a heart. Next Post Should We Be Praising Games That Are Long? Funnily enough I was thinking the same the other day. I’m getting a bit bored of the current, near future FPS like BF4 and CoD with their drones, quad bikes, helicopters and jet fighters. For me the Battlefield series peaked at Battlefield 1942 (and to a lesser extent Battlefield Vietnam) and has now got too obsessed with gimmicks. I for one would welcome a return to gritty, close quarters FPS from a few years ago. Funnily enough I was thinking the same the other day. I’m getting a bit bored of the current, near future FPS like BF4 and CoD with their drones, quad bikes, helicopters and jet fighters. For me the Battlefield series peaked at Battlefield 1942 (and to a lesser extent Battlefield Vietnam) and has now got too obsessed with gimmicks.